Tomorrow night, May 15, The m9 is pleased to provide some up-beat brass tunes for an evening to benefit Voice of Roma, a non-profit organization working on behalf of Roma around the world. 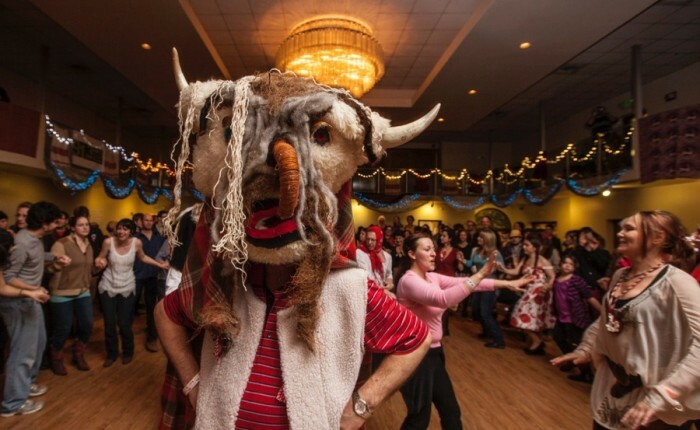 Courtesy of the Seattle Balkan Dancers, we’ll be at the Russian Community Center on Capitol Hill with dances starting at 7:30pm and live music starting at 9. The Bucharest Drinking Team plays at 10. For more information go to the event page here. Photo copyright Raymond Van Tassel. This coming week we’ve got a slew of regal sets for you from Seattle to Vancouver, BC. This Wednesday, May 6, we’ll be at Seattle’s Royal Room with Sazerac Orkestra and Chaotic Noise Marching Corps, come out and see some of Seattle’s most heart-pounding brass groups in an all-ages (before 10pm) venue with food! The following that up, we’ve got the Ederlezi Balkan Brass Festival at the Royal Canadian Legion Hall in East Van on Friday and Saturday May 8th and 9th. 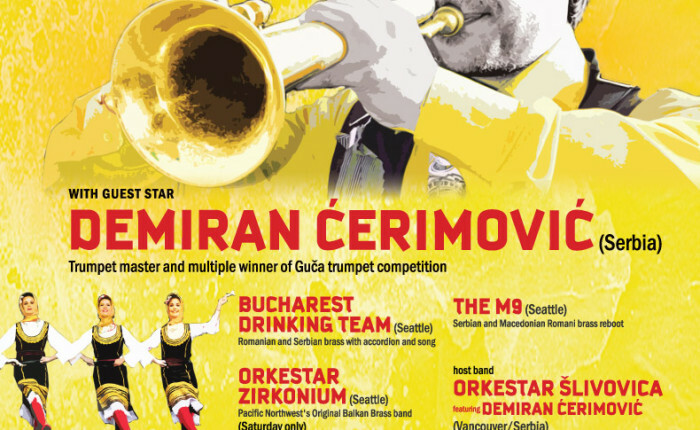 The weekend features seven bands and three dance ensembles and Serbian Romani master trumpeter Demiran Ćerimović who will perform with four different brass bands. Traditional Serbian food and drink are sold, and dancing is heavily encouraged. So go grab your crowns and dancing shoes and join us for this suite of royal performances kicking off our spring festival season! It’s hard to believe it’s been a year, but here we are a year from our first gig and we’re still at it. We are so thrilled to be a part of Balkan Night Northwest this year along with so many other fabulous bands. Come down on Saturday afternoon, the fun starts at 3pm with Kukeri and babouyeri fertility dances, and the music will run late into the night on two stages. The m9 plays on teh main floor at 10:15 Saturday night. Special props to our friends in the Bucharest Drinking Team, Dromeno, Eurodanceparty U$A, Orkestar Zirkonium and Sazerac Orchestra for bringing all their energy to this amazing festival. 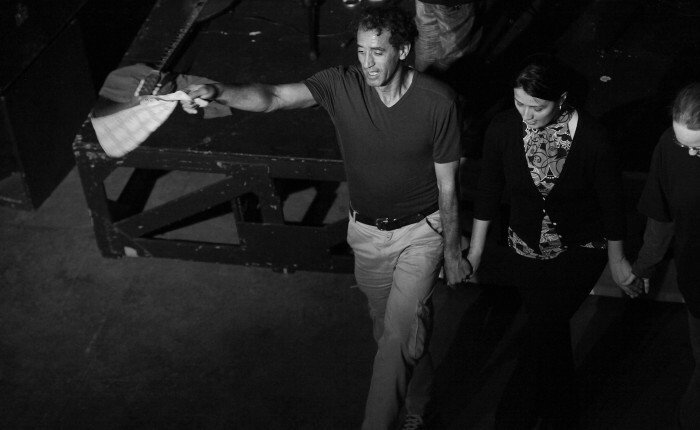 Tickets are available online and at the event. We hope to see you there!